Jenkins, G. P., K. P. Black, and M. J. Keough. 1999. The role of passive transport and the influence of vertical migration on the pre-settlement distribution of a temperate, demersal fish: numerical model predictions compared with field sampling. Marine Ecology Progress Series184:259-271. Keough, M. J. 1999. Design of environmental monitoring programs: an Australian perspective. Pages 18-24 in S. Walker, editor. Workshop on integrated approaches for interpreting Environmental Effects Monitoring Data. Environment Canada, Ottawa. Keough, M. J. 1999. Scalable decision criteria provide consistent approaches to monitoring. Pages 49-54 in S. Walker, editor. Workshop on integrated approaches for interpreting Environmental Effects Monitoring Data. Environment Canada, Ottawa. Keough, M. J. 1999. Sessile animals. Pages Ch. 17 in N. L. Andrew, editor. Under southern seas. University of New South Wales Press, Sydney. Keough, M. J., and D. J. Ross. 1999. Introduced fouling species in Port Phillip Bay. Pages 193-226 in C. L. Hewitt, M. L. Campbell, R. E. Thresher, and R. B. Martin, editors. Marine Biological Invasions of Port Phillip Bay, Victoria. CSIRO Marine Research, Hobart. Satumanatpan, S., and M. J. Keough. 1999. Effect of barnacles on the survival and growth of temperate mangrove seedlings. Marine Ecology Progress Series 181:189-199. Satumanatpan, S., M. J. Keough, and G. F. Watson. 1999. Role of settlement in determining the distribution and abundance of barnacles in a temperate mangrove forest. Journal of Experimental Marine Biology and Ecology 241:45-66. Downes, B. J., and M. J. Keough. 1998. Scaling of colonization processes in streams: parallels and lessons from marine hard substrata. Australian Journal of Ecology 23:8-26. Jenkins, G. P., M. J. Keough, and P. A. Hamer. 1998. The contributions of habitat structure and larval supply to broad-scale recruitment variability in a temperate, seagress-associated fish. Journal of Experimental Marine Biology and Ecology 226:259-278. Keough, M. J. 1998. Responses of settling invertebrate larvae to the presence of established recruits. Journal of Experimental Marine Biology and Ecology 231:1-19. Keough, M. J., and G. P. Quinn. 1998. Effects of periodic disturbances from trampling on rocky intertidal algal beds. Ecological Applications 8:141-161. Sharpe, A., and M. J. Keough. 1998. An investigation of the indirect effects of intertidal shellfish collection. Journal of Experimental Marine Biology and Ecology 223:19-38. Terrens, G. W., D. Gwyther, and M. J. Keough. 1998. Environmental assessment of synthetic-based drilling mud discharges to Bass Strait. APPEA Journal 1998:610-625. Welsford, D. C., G. P. Jenkins, M. J. Keough, and P. A. Hamer. 1998. Diurnal and tidal vertical migration of pre-settlement King George whiting, Sillaginodes punctatus, in a temperate bay. Marine Ecology Progress Series 170:239-248. Keough, M. J., and B. D. Mapstone. 1997. Designing environmental monitoring for pulp mills in Australia. Water Science and Technology 35:397-404. Keough, M. J., G. P. Quinn, and R. Bathgate. 1997. Geographic variation in interactions between size classes of the limpet Cellana tramoserica. Journal of Experimental Marine Biology and Ecology 215:19-34. Keough, M. J. 1996. Management of intertidal rocky shores: case studies from the Victorian coast. Pages 95-99 in R. Thackway, editor. Developing Australia’s representative system of marine protected areas: criteria and guidelines for identification and selection. Department of the Environment, Sport and Territories, Canberra. Keough, M. J., and K. P. Black. 1996. Predicting the scale of marine impacts: understanding planktonic links between populations. Pages 199-234 in R. J. Schmitt and C. W. Osenberg, editors. The design of ecological impact studies: conceptual issues and application in coastal marine habitats. Academic Press, Orlando. Keough, M. J., and B. D. Mapstone. 1996. Designing environmental monitoring for pulp mills in Australia. Pages 399-405 in Proceedings of 5th IAWQ Symposium on Forest Industry Wastewaters. International Association for Water Quality, Vancouver, Canada. Keough, M. J., and P. T. Raimondi. 1996. Responses of settling invertebrate larvae to biofilms: A comparison of the effects of local and “foreign” films at three sites. Journal of Experimental Marine Biology and Ecology 207:59-78. Keough, M. J., and A. J. Butler. 1995. Temperate subtidal hard substrata. Pages 37-52 in L. P. Zann, editor. The state of the marine environment report for Australia. Commonwealth Government Printer, Canberra. Keough, M. J., and G. P. Jenkins. 1995. Seagrass meadows and their inhabitants. Pages 221-239 in A. J. Underwood and G. Chapman, editors. Coastal marine ecology of temperate Australia. University of New South Wales Press, Sydney. Keough, M. J., and B. Mapstone. 1995. Protocols for designing marine ecological monitoring programs associated with BEKM operations. CSIRO, Canberra. Keough, M. J., and P. T. Raimondi. 1995. Responses of settling invertebrate larvae to bioorganic films:effects of different types of films. Journal of Experimental Marine Biology and Ecology 185:235-253. Marshall, P. G., and M. J. Keough. 1994. Asymmetry in intraspecific competition in the limpet Cellana tramoserica Sowerby. Journal of Experimental Marine Biology and Ecology 177:121-138. Todd, C. D., and M. J. Keough. 1994. Larval settlement in hard substratum epifaunal assemblages: a manipulative field study of the effects of substratum filming and the presence of incumbents. Journal of Experimental Marine Biology and Ecology 181:159-188. Keough, M. J. 1993. Mesocosm studies as a tool for designing field-based biological monitoring programs. Pages 131 in Anon., editor. Marine Mesocosms – Design and applications. CSIRO, Perth, WA. Keough, M. J., and J. Klemke. 1993. Larval dispersal and the scale of recruitment variation in benthic invertebrates. Bureau of Rural Resources Proceedings 16:64-70. Keough, M. J., and B. D. Mapstone. 1993. Protocols for designing marine monitoring programs associated with BEKM operations. Pages 773-778 in Anon., editor. Proceedings of 47th Appita Annual General Conference. APPITA, Melbourne. Keough, M. J., G. P. Quinn, and A. King. 1993. Correlations between human collecting and intertidal mollusc populations on rocky shores. Conservation Biology 7:378-391. Keough, M. J., and P. T. Raimondi. 1993. Robustness of estimates of recruitment for sessile invertebrates. Bureau of Rural Resources Proceedings 16:33-39. Phillips, J. U., M. J. Keough, and A. King. 1993. Monitoring programs in marine reserves. Pages 112-116 in A. M. Ivanovici, D. Tarte, and M. Olson, editors. Protection of marine and estuarine areas – a challenge for Australians: Proceedings of the fourth Fenner conference on the environment, Canberra, 9-11 October 1991. Australian Committee for IUCN, Sydney. Quinn, G. P., P. G. Fairweather, and M. J. Keough. 1993. The effects of harvesting by people on coastal biota in Australia. in Anonymous, editor. The state of the marine environment report for Australia. Commonwealth Printer, Canberra. Quinn, G. P., and M. J. Keough. 1993. Biological monitoring in Port Phillip Bay and its relationship to inputs of nutrients and toxicants. Environment Protection Authority, Melbourne, Victoria. Quinn, G. P., and M. J. Keough. 1993. Effects of enclosure size on competition experiments with herbivorous intertidal gastropods. Marine Ecology Progress Series 98:199-201. Keough, M. J. 1992. He could have been a contender! Bulletin of the Ecological Society of America 73:172-174. Keough, M. J. 1992. Examples of how and how not to conduct a study. Pages 49-52 in N. Gordon, T. A. McMahon, and B. L. Finlayson, editors. Stream hydrology. An introduction for ecologists. John Wiley, London. Colman, R., M. J. Keough, G. P. Quinn, D. Gwyther, and J. Smith. 1991. Report on marine and coastal environments. Commissioner for the Environment, Melbourne, Victoria. Keough, M. J., and G. P. Quinn. 1991. Causality and the choice of measurements for detecting human impacts in marine environments. Australian Journal of Marine and Freshwater Research 42:539-554. Klemke, J. E., and M. J. Keough. 1991. Relationships between the nudibranch Madrella sanguinea and its broadly-distributed prey, the bryozoan Mucropetraliella ellerii. Journal of Molluscan Studies 57:23-33. Povey, A., and M. J. Keough. 1991. Effects of trampling on plant and animal populations on rocky shores. Oikos 61:355-368. Quinn, G. P., and M. J. Keough. 1991. Repeated measures analysis of variance: a comment on Beal and Khamis (1990). Condor 93:200-203. Butler, A. J., and M. J. Keough. 1990. A comment on short supply-lines. Trends in Ecology and Evolution. Keough, M. J., G. P. Quinn, and A. King. 1990. The ecology of temperate reefs. Australian Journal of Ecology 15:361-363. Raimondi, P. T., and M. J. Keough. 1990. Behavioural variability in marine larvae. Australian Journal of Ecology 15:427-437. Keough, M. J. 1989. Why study bryozoans? Trends in Ecology and Evolution 4:359-360. Keough, M. J. 1989. Variation in growth and reproduction of the bryozoan Bugula neritina. Biological Bulletin 177:277-286. Keough, M. J. 1989. Dispersal of the bryozoan Bugula neritina and effects of adults on newly metamorphosed juveniles. Marine Ecology Progress Series 57:163-171. Keough, M. J. 1988. Benthic populations: is recruitment limiting or just fashionable? Proceedings of the 6th International Coral Reefs Symposium 1:141-148. Keough, M. J., and H. Chernoff. 1987. Dispersal and population variation in the bryozoan Bugula neritina. Ecology 68:199-210. Keough, M. J. 1986. The distribution of the bryozoan Bugula neritina on seagrass blades: settlement growth and mortality. Ecology 67:846-857. Keough, M. J., and B. J. Downes. 1986. Effects of settlement and post-settlement mortality on the distribution of the ascidian Trididemnum opacum. Marine Ecology Progress Series 33:279-285. Connell, J. H., and M. J. Keough. 1985. Disturbance and patch dynamics of subtidal marine animals on hard substrata. Pages 125-152 in S. T. A. Pickett and P. S. White, editors. The ecology of natural disturbance and patch dynamics. Academic, New York, USA. Keough, M. J. 1984. Kin-recognition and the spatial distribution of larvae of the bryozoan Bugula neritina. Evolution 38:142-147. Keough, M. J. 1984. Dynamics of the epifauna of the bivalve Pinna bicolor: interactions among recruitment, predation, and competition. Ecology 65:677-688. Keough, M. J. 1984. Effects of patch size on the abundance of sessile marine invertebrates. Ecology 65:423-437. Keough, M. J. 1983. 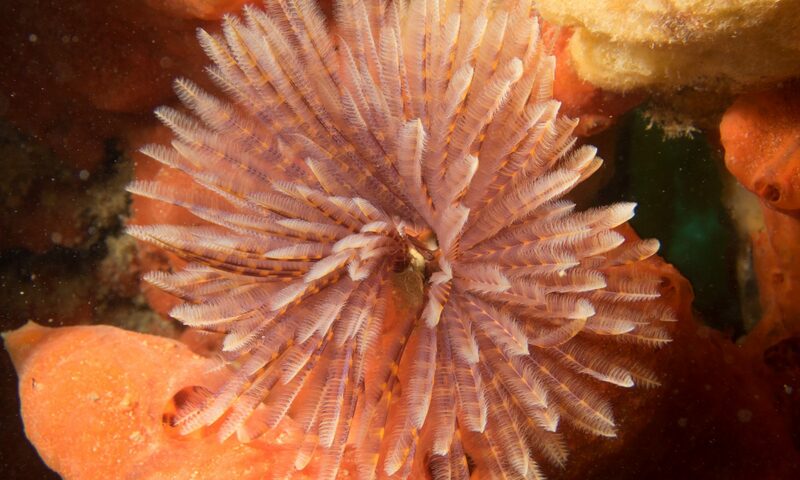 Patterns of recruitment of sessile invertebrates in two subtidal habitats. Journal of Experimental Marine Biology and Ecology 66:213-245. Keough, M. J. 1983. A mechanistic review of competition. Ecology 64:614-615. Keough, M. J., and A. J. Butler. 1983. Temporal changes in species number in an assemblage of sessile marine invertebrates. Journal of Biogeography 10:317-330. Keough, M. J., and B. J. Downes. 1982. Recruitment of marine invertebrates: the role of active larval choices and early mortality. Oecologia 54:348-352. Butler, A. J., and M. J. Keough. 1981. Distribution of Pinna bicolor Gmelin (Mollusca: Bivalvia) in South Australia, with observations on recruitment. Transactions of the Royal Society of South Australia 105:29-39. Kay, A. M., and M. J. Keough. 1981. Occupation of patches in the epifaunal communities on pier pilings and the bivalve Pinna bicolor at Edithburgh, South Australia. Oecologia 48:123-130. Keough, M. J., and A. J. Butler. 1979. The role of asteroid predators in the organization of a sessile community on pier pilings. Marine Biology 51:167-177. Keough, M. J., and A. J. Dartnall. 1978. A new species of viviparous, asterinid asteroid from Eyre Peninsula, South Australia. Records of the South Australian Museum 17:407.